Realistic, electronic, flashing blue cutting torch flame. Real smoke rises from the "cutting" area. 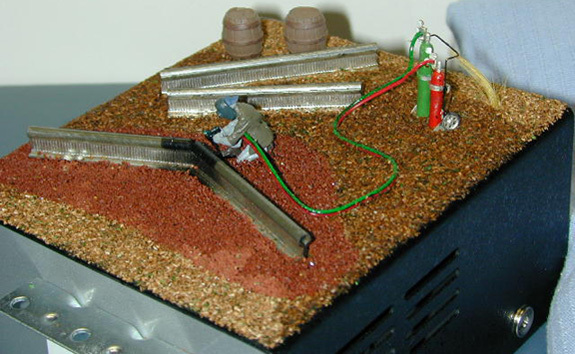 Can be customized with any rail to match your railroad! Fully landscaped as shown. Easy installation. The arc welder sound unit features the random sounds of a cutting torch.